Desperate to resuscitate his floundering White House bid, Jeb Bush is doing things a bit differently these days. He's cut campaign costs, downsized his staff and shifted his focus to early voting states like New Hampshire. Bush also appears to have made a shift in his media strategy. After months of seldom appearing on Fox News, the former Florida governor is ramping up his presence on the preferred channel of conservatives. A review of the channel's video archives shows that Bush has made six appearances on Fox News since the beginning of the month, including interviews with the outlet's two top-rated hosts, Bill O'Reilly and Megyn Kelly. According to the liberal watchdog Media Matters for America, Bush appeared on Fox six times in September, capping off the month with a pair of 12-minute interviews on "Special Report" and "Fox News Sunday." That's a sharp increase from May to August, when Media Matters found that Bush made a mere nine appearances on Fox -- fewer than any other Republican presidential candidate with the exception of Jim Gilmore. It's unclear whether the candidate or the channel is responsible for the dearth of appearances from May to August. A spokesperson for Fox did not respond to a request for comment. Bush's communications director Tim Miller told CNNMoney that the spike is simply part of the candidate's larger effort to "increase his media footprint as the campaign has gone forward as one would expect." "As we said on Friday we are planning on using our best asset -- more Jeb -- particularly in front of voters, as well as through the media between now and February making the case that he is the proven conservative who can fix DC," Miller said in an email. That enlarged footprint has included appearances on outlets other than Fox. 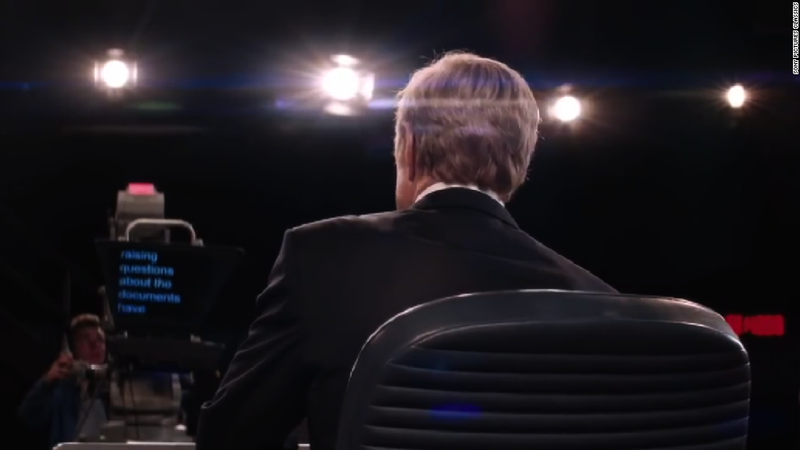 Bush sat down with Stephen Colbert last month for the host's debut on the "Late Show." Last week, Bush appeared on CNN's "State of the Union" with Jake Tapper. But Fox, by far the highest-rated cable news channel, represents an appealing platform for any candidate trying to win support from GOP voters. A study from Pew Research Center last year found that 78 percent of conservatives cited Fox as their main source for government and political news. Quinnipiac University released a poll earlier this year that found 80 percent of Republicans trust Fox either a "great deal" or "somewhat," compared to only 16 percent who said they trust the channel "not so much" or "not at all." Despite that, Bush has been far less visible on Fox than his other Republican rivals. The party's two current presidential frontrunners, Donald Trump and Ben Carson, have made a combined 107 appearances on the channel from May until September, according to Media Matters. Over that same period, Bush has gone from the favorite for the GOP nomination to a candidate struggling to stay relevant. He's polling well behind Trump and Carson, and his campaign is currently reducing the salaries of its staff. It's not just Bush's campaign that's working to reverse the candidate's fortunes. The pro-Bush super PAC Right to Rise USA, which is legally prohibited from coordinating with the Bush campaign, announced a $25 million ad buy last week. The spending blitz will include $1 million worth of ads on Fox News.